I haven’t really kept it a secret that I invest all my extra income in my blog and repaying my debt. I’ve also mentioned, too, that last December my car was stolen (and with it, a laptop plus my favorite boots ever). 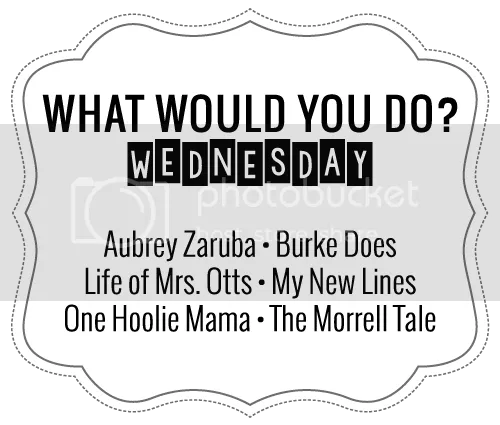 It’s nice to dream, though, so I’ve partnered with my What Would You Do co-hosts to talk about what we would do with a new car! Of course, we’re speaking only in imaginations, but frankly, I don’t want one. As I sat down over and over and over to think about how to write about cars all I could think about was how I didn’t want a specific car. If I could get the car of my dreams, the fact of the matter is I wouldn’t be interested because I don’t have a dream car. All I want, all I’d need in a car is four wheels and an engine that runs. I’m really luck to have bought a 2002 VW Bug last winter after everything happened that does all of that. The only thing I wish I could change about it is a four-door instead.